The wind having dropped and the weather being mild this weekend we have been working down in the woods. 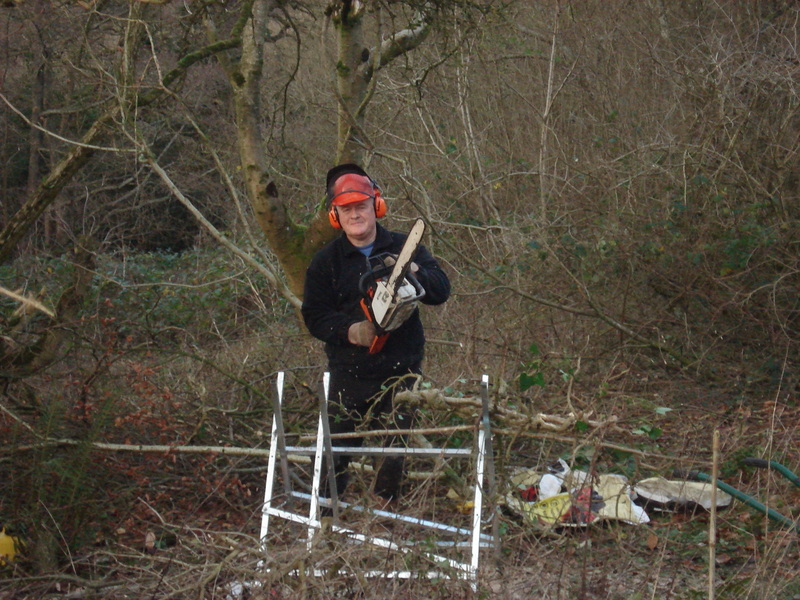 On Saturday Neil went down with his chainsaw and cut down various branches and then sawed them into useable chunks for the woodburner. 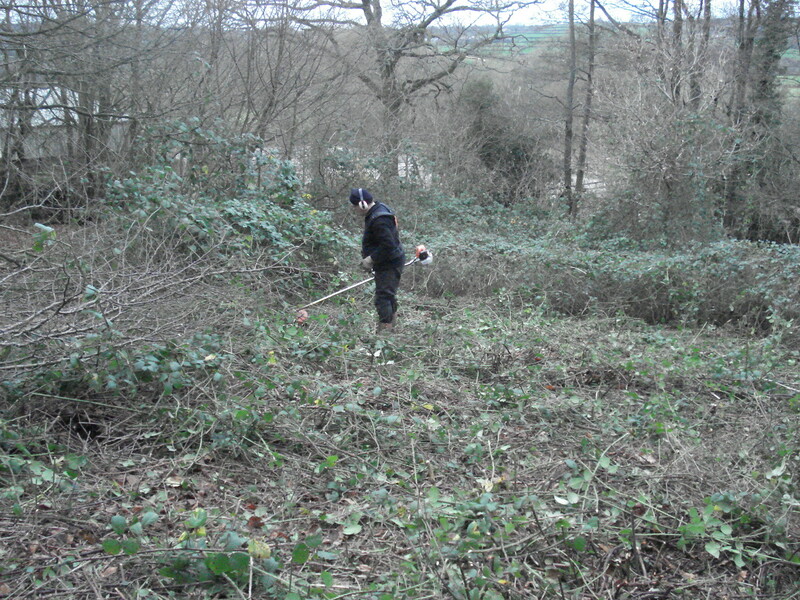 Today he started work on clearing the bramble patch. 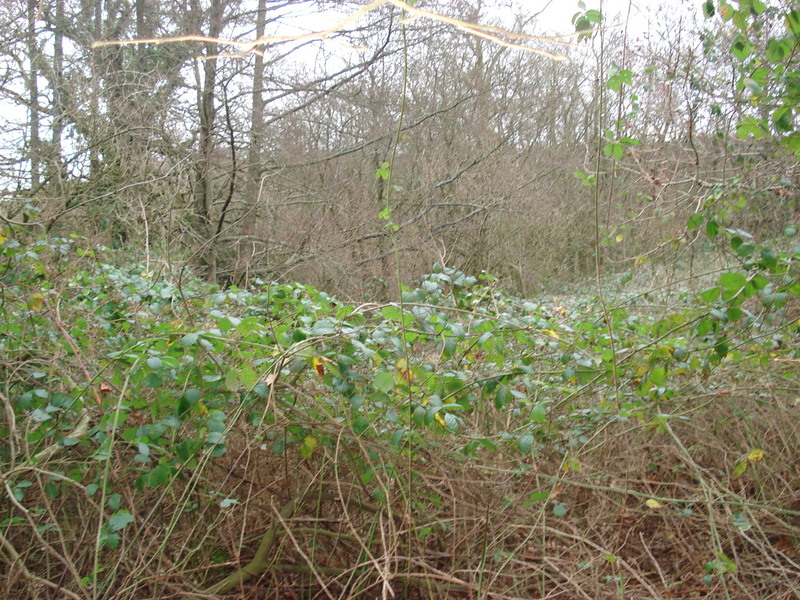 This is a large area of brambles that is totally inaccessible due to the growth of the brambles. Neil worked away with his trusty Stihl Brushcutter all afternoon and cleared a patch but this will take several days as it is quite a large patch. We will then need to gather up all the brambles to burn them and then sprinkle a weedkiller such as “Round up” over the area to kill off the undergrowth. Eventually this area will be ready for planting out some new trees, called “Whips”, which is time will grown into mature trees to provide wood for us to burn in the future. So this is all part of a 10 year plan. 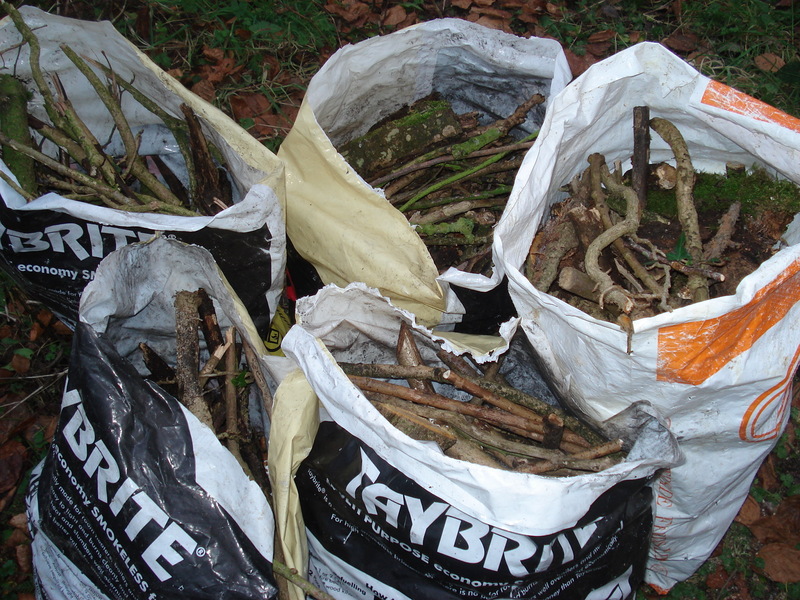 Meanwhile I have been foraging the woodland floor for twigs and small bits of wood that will act as kindling. I managed to fill 5 bags, so that will keep us going for a while. It’s good to be able to get outside this early in January. Last week the wind was howling and the rain horrendous, and this time last year, we still had very cold weather, so it’s a bonus working outside this weekend.